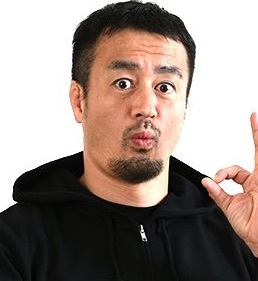 Ryusuke Taguchi is a Japanese professional wrestler, trained by and currently performing for New Japan Pro-Wrestling (NJPW), where he is a former two-time IWGP Junior Heavyweight Champion, six-time IWGP Junior Heavyweight Tag Team Champion and two-time NEVER Openweight 6-Man Tag Team Champion. He was also the winner of the 2012 Best of the Super Juniors tournament. In 2015, Taguchi began performing as a singer character named "Akira Michishirube". Taguchi, as Michishirube, released his first CD on July 27, 2016.